The ICT Authority of Kenya holds the annual Connected Kenya summit to chart the way forward for the ICT industry in Kenya. The conference has grown from 60 attendees in 2009 to over 400 attendees in 2013, the conference aims to grow from a national event to a regional one as happened last year. The Connected Summit 2016 is currently being held in Diani under the theme of bridging the services gap. 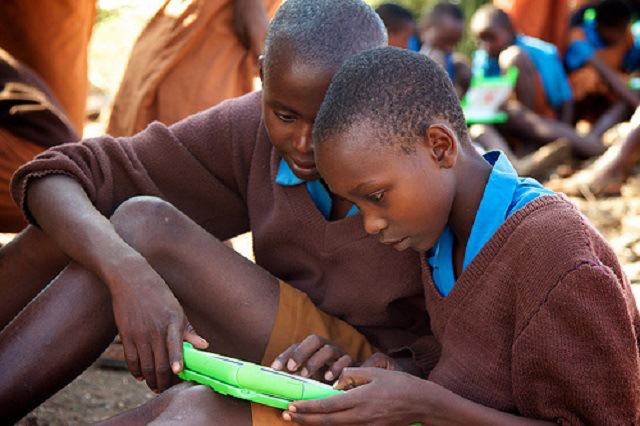 At the summit the government unveiled the devices to be used in the digital literacy program,a brain-child of the Jubilee government. According to the tender documents for the project, the devices included 14-inch laptops for teachers, 10 inch tablets for students, while special need pupils will have 12 inch laptops with brail key boards, head phones and an embosser. The tender for the supply of the devices was won by the consortia of Moi University– JP SA Couto and Jomo Kenyatta University of Science and Technology (JKUAT)- Positivo BGH. The devices presented at the summit were loaded with standard one content and included luminous green devices for the learners digital device (LDD) while teachers will get a blue teachers digital device (TDD). Also among the delivery to schools are a Special needs learners device which will be luminous green laptop adapted for special needs. In addition each school will receive a projector, server and router. The government also recently set aside Kshs. 2.6 Billion for the purchase of laptop desks with the pilot for the project taking place in 150 schools. The governemnt plans to issue devices to over 22,000 schools with the first stage covering 11,000 schools by June 2016.